We’re “cooking” up another challenge! Paper Garden Projects is sponsoring the “Catered Crop” challenge for the rest of this month. How exciting! Linda posts a simply delightful challenge every 2 weeks. She creates a “recipe” from the entry of the winner of the previous week’s challenge. You can use all or just part of the recipe – so it is very easy to find a bit of inspiration. Its so worth checking out the entries – so many just beautiful ones. Linda and her design team are amazing too! And for this challenge – the winner receives a $20 gift certificate to the Paper Garden Projects store – to buy any old thing your little heart desires! I used the new Spring Blooms 2 digital stamp set (tulip and sentiment) and the fabulous Tapasty 1 background stamp. The paper is from the Basic Grey Koshi paper pad. I decided to include color (green), a mini flower print, the spring theme, diecuts and ovals. So be sure to hop on over to the Catered Crop site and cook something up to enter the challenge! I know I haven’t been posting much – but I’ve been very busy on something I’m so, so, so excited about! Hee Hee! I’ve also been working in the yard a lot whenever I can. I’m trying to get the vegetable garden prepped (its big). Yesterday, DH and I planted 3 apple trees, one pear tree, 3 blueberry bushes and 25 strawberry plants! Wish me luck that the local wild life will let me have at least some of the harvest. Actually – it will be be 4-5 years before we can hope to see much from the fruit trees. But that’s OK – something to look forward to! Hope everyone is wonderful! Happy crafting! This entry was posted in Digital Stamps and tagged Basic Grey, Copic Markers, Digital Stamps on March 20, 2011 by Cathy. Can we have a cup of coffee and a chat? Well…. it has to be virtual coffee…. If you are one of my 4 regular blog visitors (Hi Mom!! ), you might have noticed a distinct lack of posting recently. There are a mix of reasons. I hurt my back and couldn’t sit for long – so blogging was tough (all better now though). We have had a bunch of summer activities (like everyone I bet). The garden has been keeping me busy (I’ve already canned beets, pickles and froze green beans). But the main reason is it finally hit me how fast my kids are growing up. J will be in 5th grade this year. She is a great kid, but the tween attitude is creeping in. I figure I better spend some time with her now before she wants nothing to do with me! Ohhh…. those teen years are looming. So I’m making a conscience effort to set aside other things to do activities with the kids this summer. Its hard for me not to craft, blog, post tutorials, etc. But I think its the right thing to do right now. Oh, I’m sure I’ll still sneak in a project here and there. And I’m still adding new goodies to the store. But I’ve given the DT the month of July off to have some summer fun too. We’ll all be back in August with some nifty Fall and Back to School projects, challenges and contests. This entry was posted in Rubber Stamp Projects and tagged Basic Grey, Impression Obsession on July 16, 2010 by Cathy. Its another 4th Friday – so time for another challenge! Its getting mighty hot in these here parts…. (OK – I’m here in Philadelphia, guess I better lose the western accent). But honestly, it is pretty hot, like 98 degrees. And us without any air conditioning – we just might have to go to the mall! So for this month, we want to see projects that make us feel cooler. Whether that is cool colors (like blue and green), or cool images (like swimming, ice cream or even snowmen). Anything you think is cool goes. Just add a link to your card using the cute froggy face at the bottom of this post. One random winner will be chosen to recieve this new, very cool Kraftin Kimmie stamp – Tubing Miles. You have until midnight (EST) on Friday July 2 to link up your creation! For my “cool” card, I chose a day at the beach. This sassy girl is Florence from Kraftin Kimmie. She makes me smile. I paired her with Basic Grey Green At Heart paper and Prism cardstock. She is colored with copics. Be sure to check out all the clever projects by the Design Team! This entry was posted in Uncategorized and tagged Basic Grey, Copic Markers, Kraftin Kimmie, spellbinder dies on June 25, 2010 by Cathy. 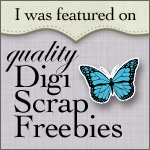 A few months ago, I began offering free digital stamps in the Paper Garden Projects store. I like to draw and thought maybe I’d offer a few of the drawings as digi’s in case they might be useful to someone. Since then I learned that offering the digis is costing the store a bit and if I want to keep offering freebies I will have to upgrade my server space in order to improve the download process. So….. I decided to try a mix of free and “for sale” digis to try to offset the cost. For my sample card, I printed the full peony on Neenah Classic Crest cardstock using my HP printer. I colored the image with Copics. (with this cardstock, I’ve also been successful Copic coloring with Epson and Brother printers using the cheapo generic ink). The original flower was white – but I decided I wanted a pink peony. Here are the colors I used. My card layout is this week’s sketch challenge over at Splitcoast Stampers. For the pink background, I stamped the Quilt Cover-a-card background stamp in Cloud White. ( I used the new Mega Mount stamp block– I LOVE that thing). The kraft layer is Cuttlebugged in Herringbone. You can get the Peony digital set here. The digital downloads contain the images in transparent background PNG files and as high resolution JPG files. I’ve also included a colored sample or two for each set. If you would like a little more information on downloading and using the digi stamps, you can download a PDF here. There are quite a few freebies in the store to try out. If you have any trouble downloading – just let us know and we’ll make sure you get your images (we’re working on it!!). The background paper is from the Basic Grey Koshi paper pad. The sentiment is from the Peony digital set. I used the card sketch from The Pink Elephant challenge blog – or at least I tried to. By the time I got done moving everything around, it came out a bit different than the sketch! So that is the latest from Paper Garden Projects digi land. Hopefully someone can use some of the drawings. I have an exciting Friday night planned – 24 Brownie girl scouts for a Pajama Jam (a sleep over without the sleeping over part). I can just imagine the noise level! LOL! I’ll leave you with a few peony pictures from my garden. I’m not the world’s best photographer – but honestly whats not to love? This entry was posted in Digital Stamps and tagged Basic Grey, Copic Markers, Digital Stamps on May 21, 2010 by Cathy.